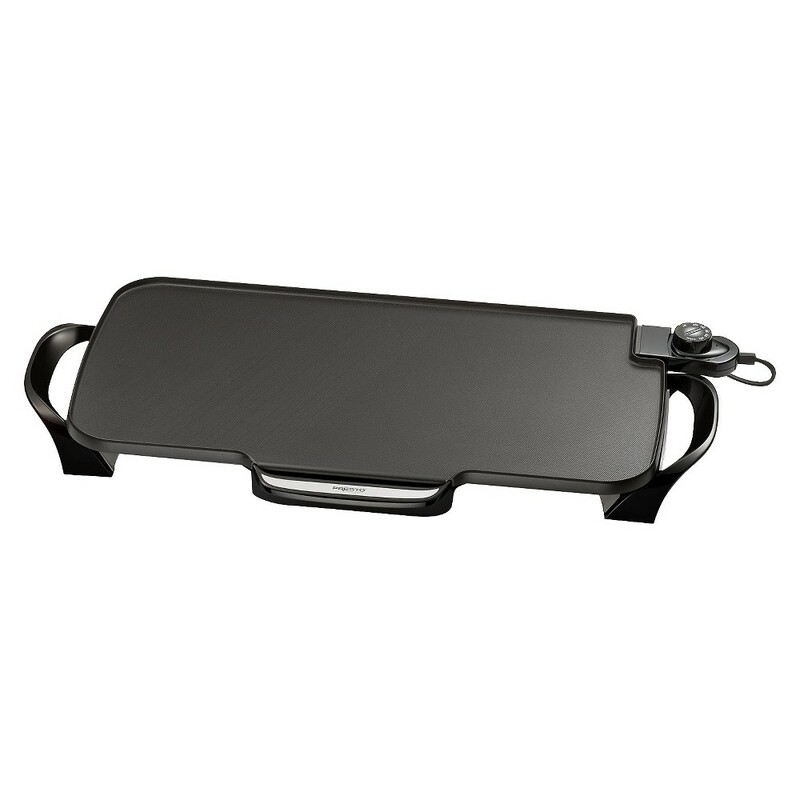 Cool Touch Griddle 10.5"x16" Cool Touch Griddle 10.5"x16"
Cool Touch Griddle with Cool-touch base surrounds the cooking surface on the front and both sides. 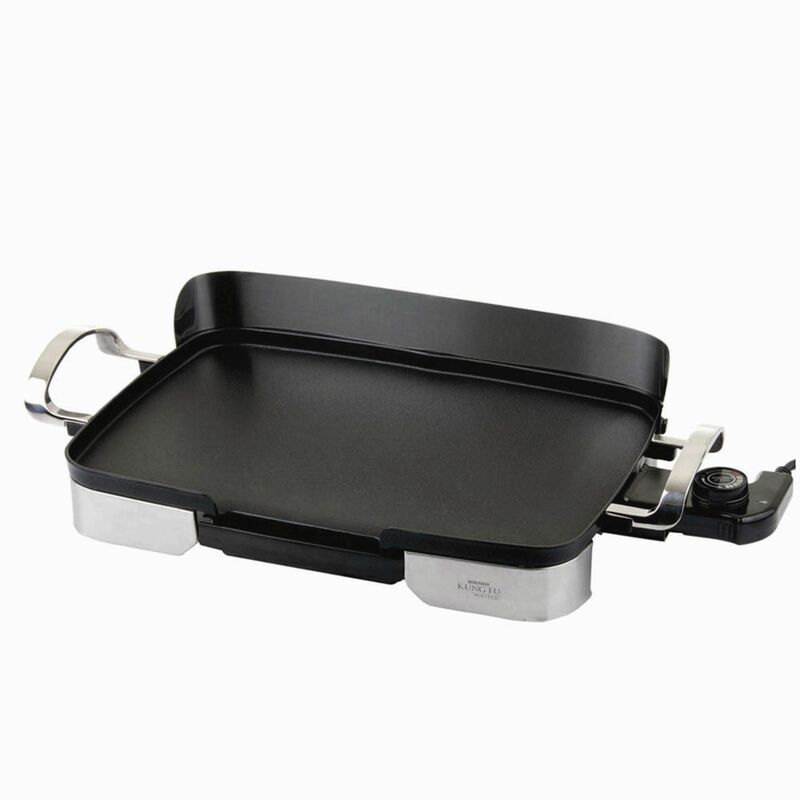 Heavy cast aluminum base is coated with a premium nonstick surface for stick free cooking and easy cleaning. 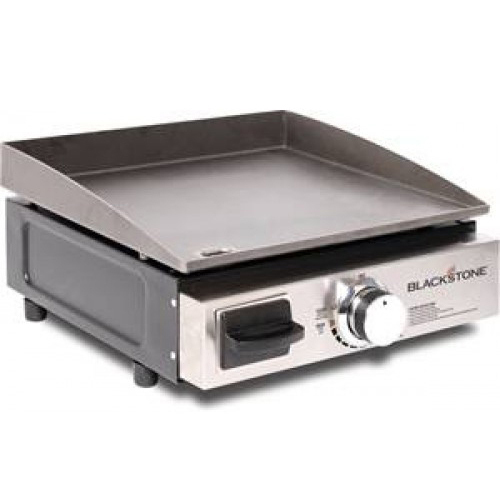 Big 10 1/2- x 16-inch cooking surface with built-in backstop ledge is ideal for breakfast lunch or dinner. Control Master* heat control maintains the desired cooking temperature automatically. Features a low profile design for attractive buffet-style serving and easy storage. Slide-out drip tray removes for easy cleaning. Fully immersible and dishwasher safe with the heat control removed. This item cannot be shipped to APO/FPO addresses. Please accept our apologies. 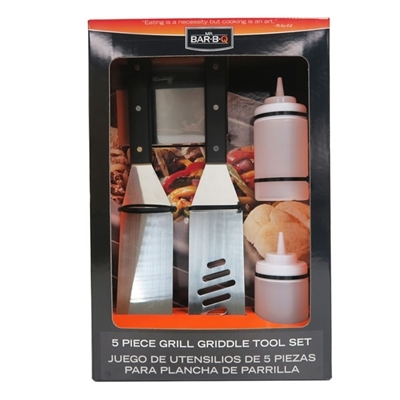 It?s impossible to be unprepared for breakfast lunch or dinner with the 5 Piece Griddle Tool Set by Mr. Bar-B-Q. Oil clean or season your griddle with the included clear squeeze bottles that make dispensing your favorite sauces or marinades mess-free. 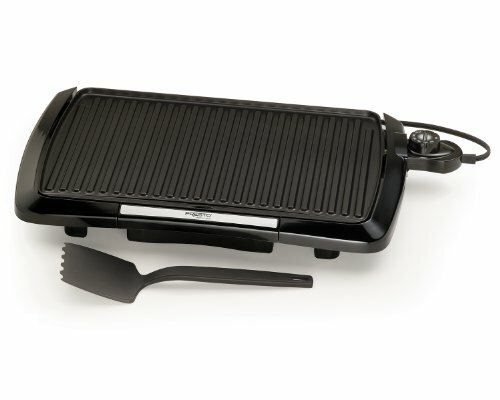 The steel chopper/scraper will help you dice and chop your way to a delicious meal and then conveniently scrape your griddle clean when you?re done with no extra tools to wash. As if one long surface steel blade spatula wasn?t enough now you?re getting two to flip your food easily with no hassle. Two 15" Spatulas One Perforated for Cutting While Cooking. 2 Clear Squeeze Dispensers. Steel Chopper/Scraper Durable Stainless Steel Construction. This item cannot be shipped to APO/FPO addresses. Please accept our apologies. There are waffles and then there are Belgian waffles! Indulge in the experience of fresh homemade Belgian waffles with deep pockets full of tasty toppings and syrup. The large 8-inch plate makes one perfectly cooked waffle. Stainless w/black accents This item cannot be shipped to APO/FPO addresses. Please accept our apologies. Create your own pancake art with the PanGogh? pancake art griddle. 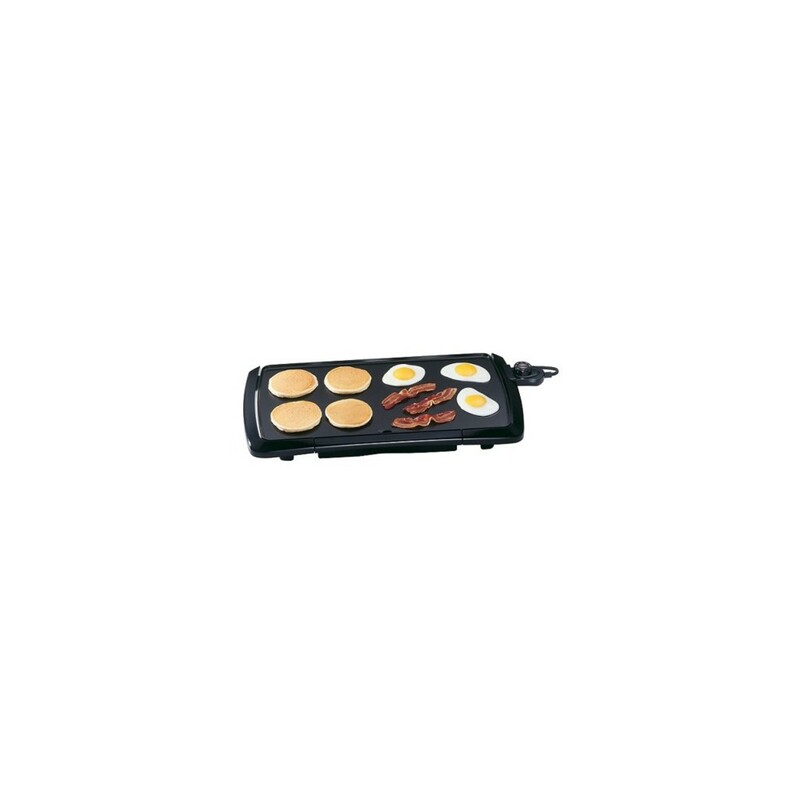 Pancake art kit includes a cool-touch griddle with nonstick coating two fine-tipped and two standard-tipped batter bottles and a double-sided nonstick pancake art template (lion and ice cream cone template included). 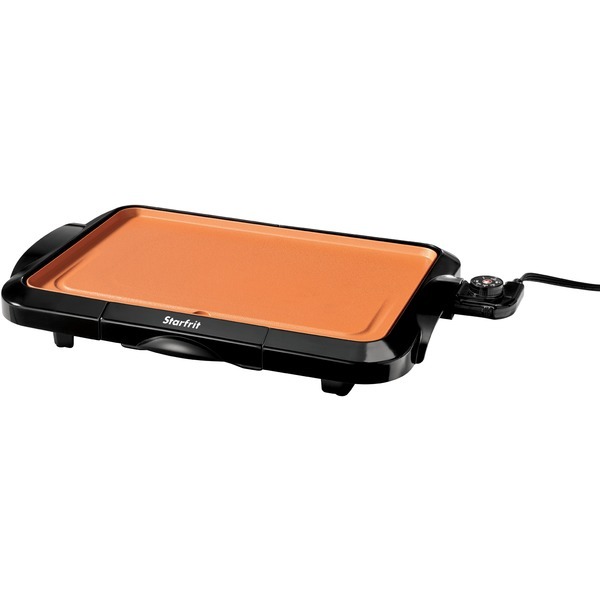 Griddle features a canvas-colored nonstick cooking surface and four-sided cool-touch surround that doubles as a frame for your pancake art. Simply fill in a template with colored pancake batter. BULLETS: 1.) Nonstick templates and four batter bottles help you create colorful pancake designs. 2.) 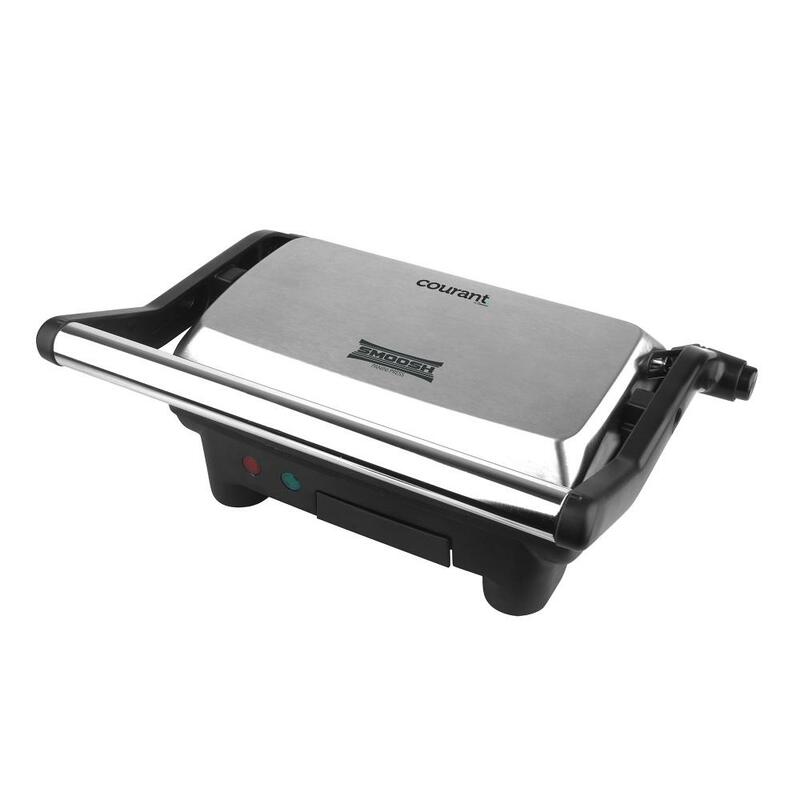 Griddle is also great for eggs french toast cottage fries and grilled cheese. 3.) 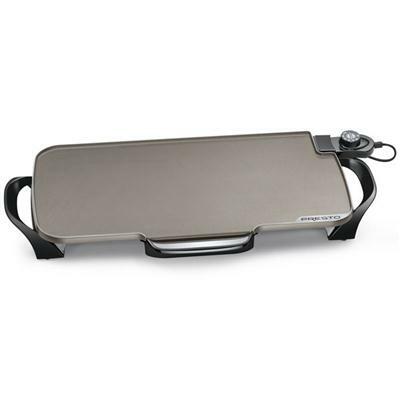 Griddle and templates are fully immersible and dishwasher safe for easy cleaning. 4.) Additional pancake art templates sold separately at www.PrestoPanGogh.com. This product is intended for use only by persons 13 years of age and older. This item cannot be shipped to APO/FPO addresses. Please accept our apologies. 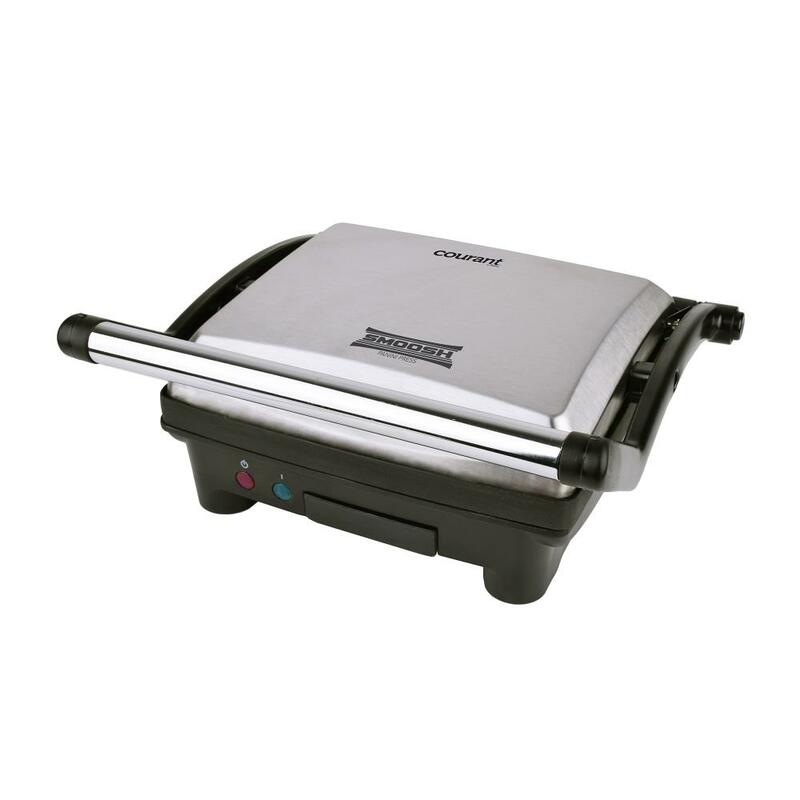 PRESTO 07046/GRIDDLE/BIG ELECTRIC Cooks up to 50% more food than other jumbo griddles. Exclusive Tilt'nDrain™ feature, too! This super-sized griddle can cook as many as 12 slices of french toast at one time. 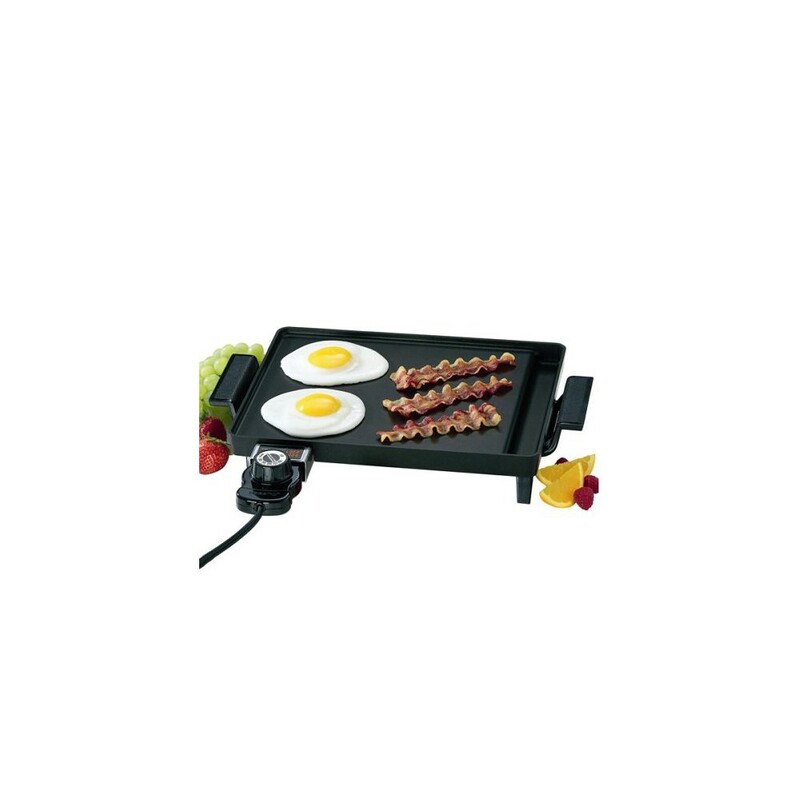 The exclusive Tilt'nDrain™ features makes it easy to adjust the grilling surface from level, for eggs and pancakes, to a tilted draining surface for meats. 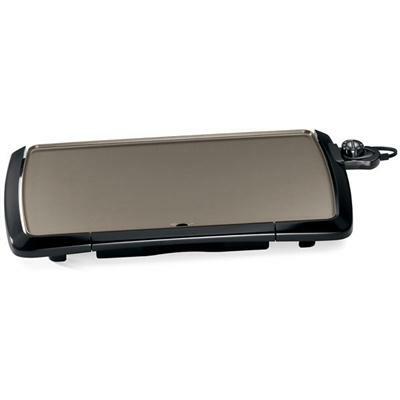 Simply pull out on handles to tilt the grilling surface. Push handles back in to return to a level surface. Control Master� heat control maintains the proper cooking temperature automatically. Premium nonstick surface ensures stick-free cooking and easy cleaning. Slide-out drip tray empties easily for quick cleanups. Presto Extra-large cooking surface makes enough for the entire family. Removable handles for easy cleaning and compact storage. No tools required. With handles removed the base stores neatly in most standard 18-inch kitchen cabinets. Ceramic nonstick surface for stick-free cooking and easy cleaning. 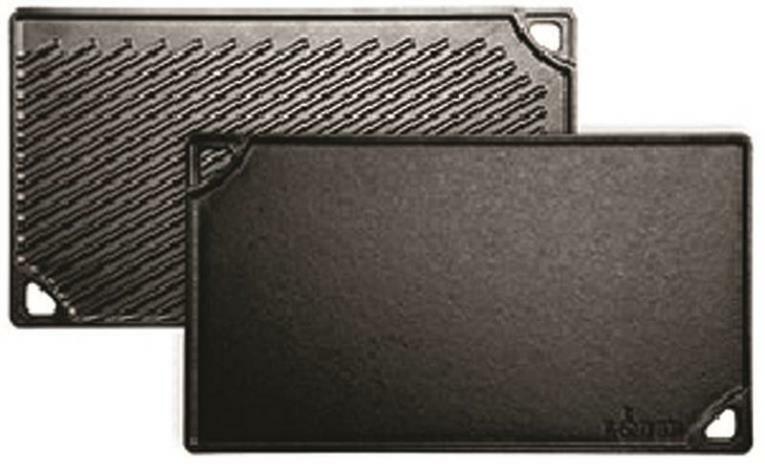 Textured cooking surface provides enhanced nonstick performance. Control Master heat control automatically maintains the desired cooking temperature. Heavy cast aluminum base is virtually warp-proof. Slide-out drip tray removes and cleans easily. Griddle is fully immersible with the heat control removed. 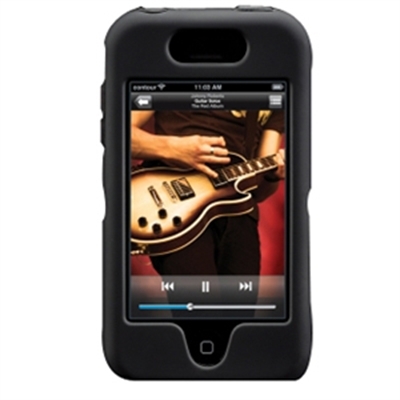 Black and Stainless This item cannot be shipped to APO/FPO addresses. Please accept our apologies. Great for breakfast, lunch, or dinner. Doubles as a handy buffet server. 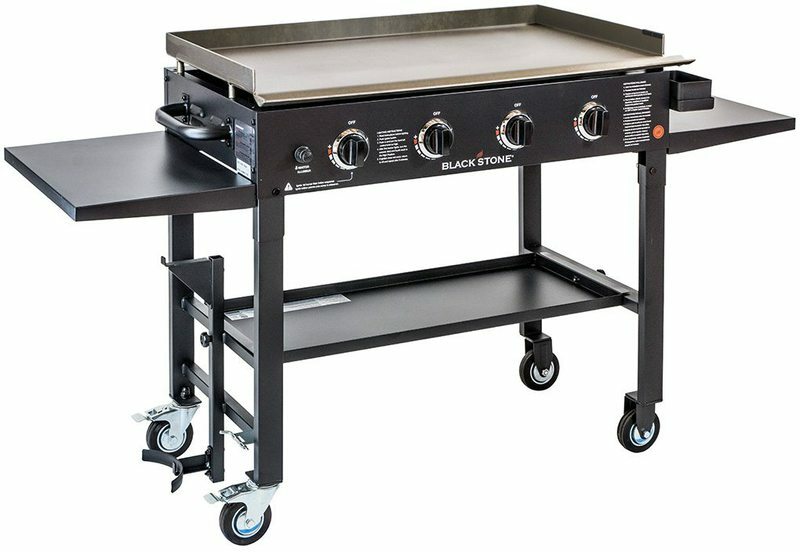 Big 10 1/2- x 20 1/2-inch cooking surface with a built-in backstop ledge for easy food handling. Control Master heat control maintains proper cooking temperature automatically. Premium nonstick cooking surface. Fully immersible with the heat control removed. Enjoy delicious grilled food anytime you want, whatever the weather. 16 inch cooking surface. Fully immersible and dishwasher safe with the heat control removed. Grease automatically drains from food into drip tray. 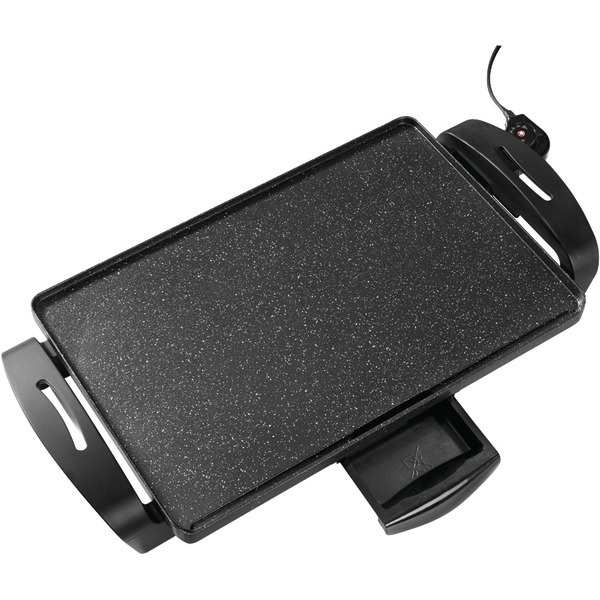 Cool touch base surrounds the grilling surface on the front and back sides. Control Master heat control maintains the proper cooking temperature automatically. Spatula included. 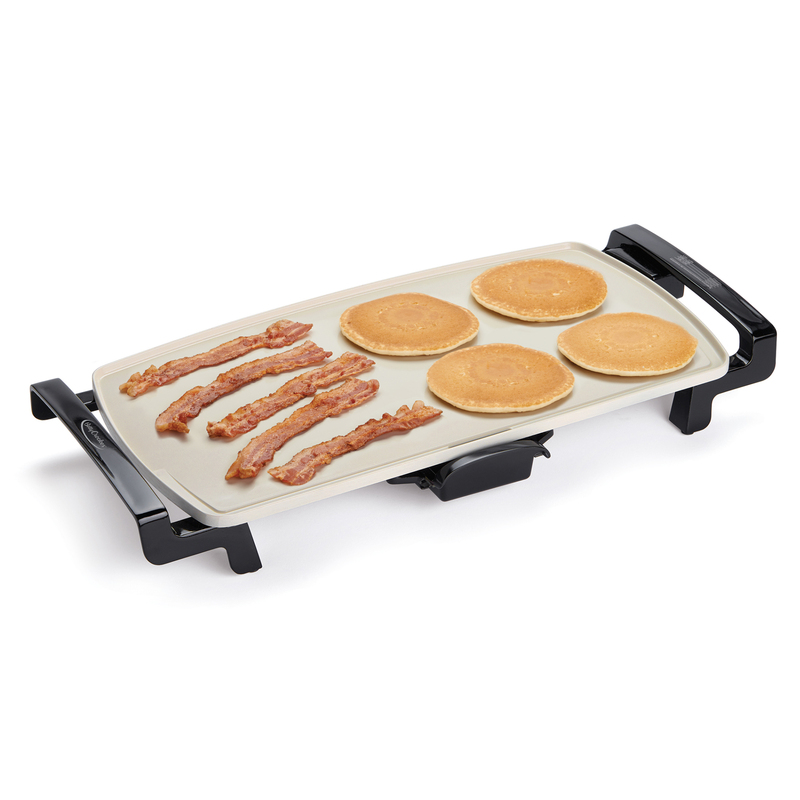 Griddle features a big 13- x 22-inch cooking surface ideal for buffet-style serving. Extra-large cooking surface makes enough for the entire family. Heavy cast aluminum cooking surface is virtually warp-proof. Fully immersible with the heat control removed. Slimline design makes it convenient to store. Slide-out drip tray removes for quick cleaning. Control Master heat control maintains the desired temperature automatically. 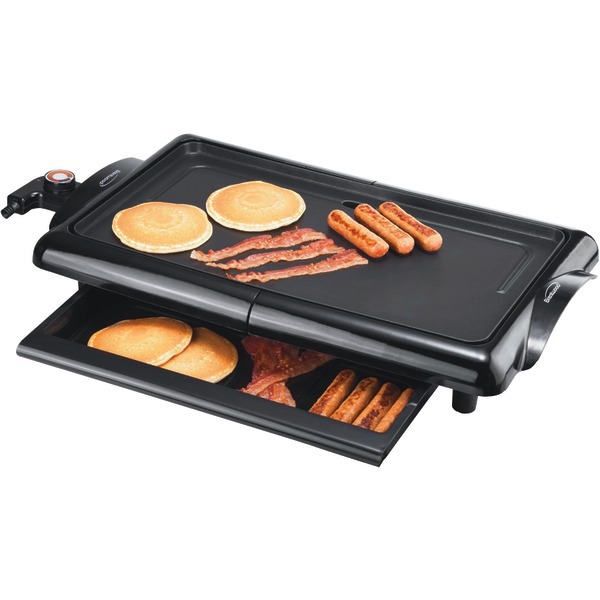 This extra-large griddle cooks enough food for the entire family and features detachable handles for compact storage. Simply open the latch clips to release handles from base. With handles removed, the base stores neatly in most standard 18-inch kitchen cabinets. Premium textured cooking surface provides enhanced nonstick performance for stick-free cooking and easier cleaning. Control Master* heat control automatically maintains the desired cooking temperature. Heavy cast aluminum base is virtually warp-proof. 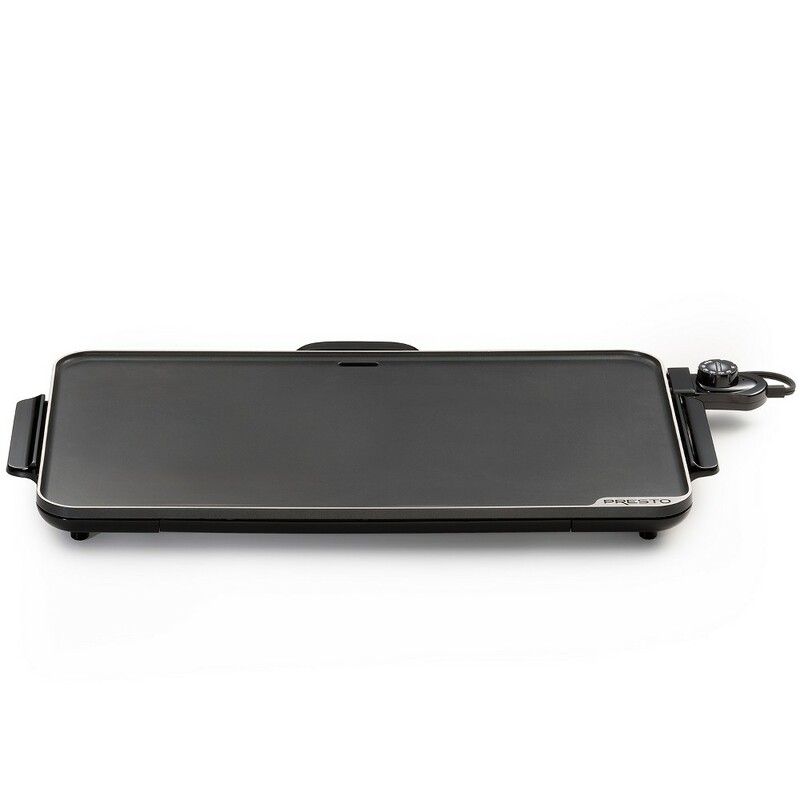 Slide-out drip tray removes and cleans easily.Griddle is fully immersible with the heat control removed. Ideal for one or two servings. 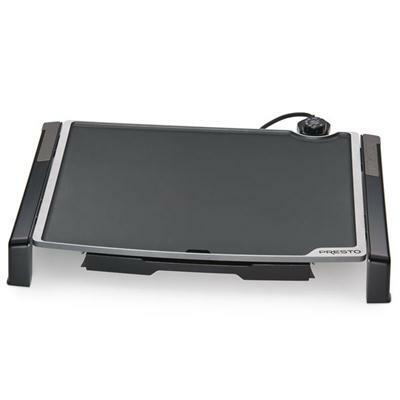 Compact size with an 8-+- x 10-+-inch cooking surface. Heavy cast aluminum base distributes heat evenly. Control Master heat control maintains the desired cooking temperature automatically. 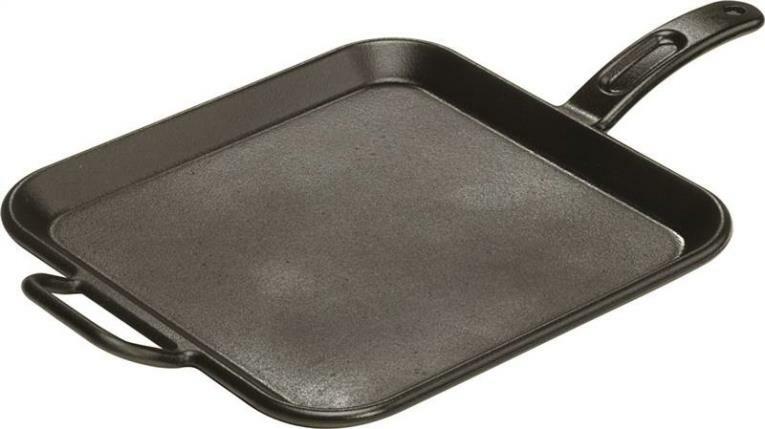 Built-in nonstick drip tray cleans easily. 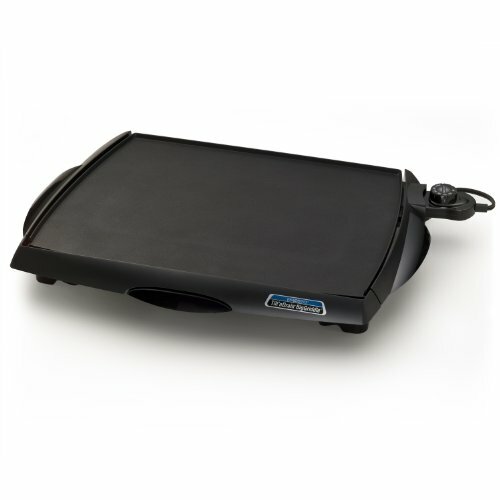 Tilt n Fold Griddle 19" x 15" Tilt n Fold Griddle 19" x 15"
Presto Tilt'n Fold Griddle 19" x 15" with Tilt'n Drain feature! 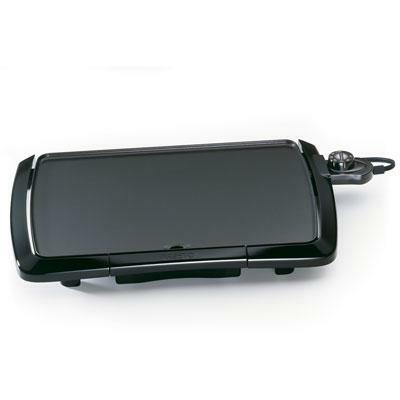 Griddle easily adjusts from a level grilling surface for eggs and pancakes to a tilted draining surface for meats. 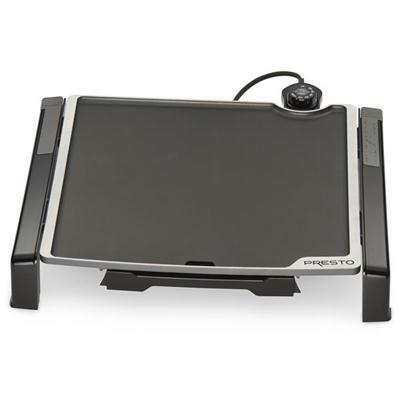 Simply lift the 5 degree tilt lever to tilt the grilling surface. Push the lever back in to return to a level surface. Legs fold up for compact storage. Saves valuable cabinet space. 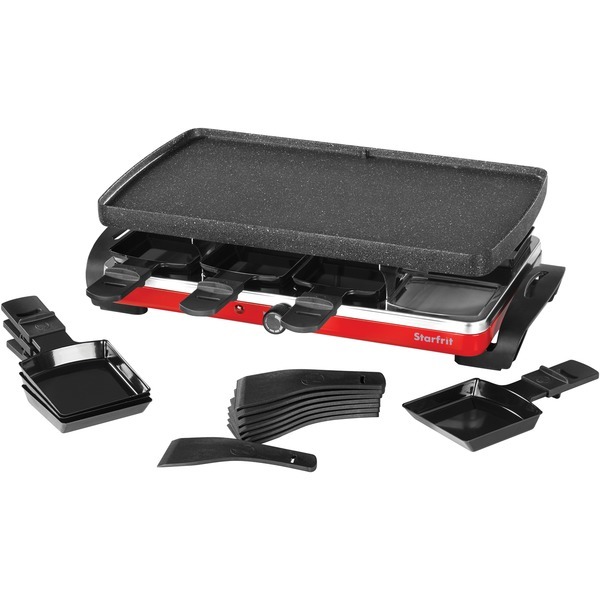 Efficient shape holds more pancakes eggs and sandwiches than most conventional rectangular griddles. 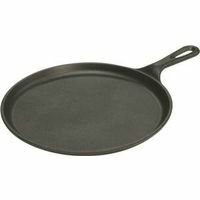 Heavy cast aluminum base with premium nonstick surface assures stick-free cooking and easy cleaning. Slide-out drip tray empties easily. Control Master heat control maintains the proper cooking temperature automatically. Fully immersible and dishwasher safe with the heat control removed. This item cannot be shipped to APO/FPO addresses. Please accept our apologies.